Android "Lollipop" introduced a ton of cool new functionality. Unfortunately, the Nexus 5 didn't get all of these features, as some were exclusive to other devices. 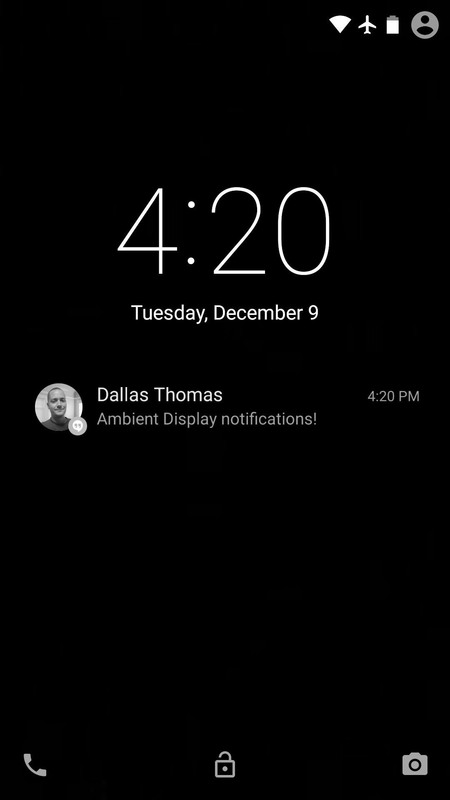 For example, the Ambient Display function on the Nexus 6 that shows new notifications as they come in with a black-and-white lock screen. Sure, the new Nexus phablet has an AMOLED display that doesn't waste any battery to power black pixels, but it would be nice to have this feature as an option on the Nexus 5, wouldn't it? Not one to be left out when it comes to new features, developer Raffaele D'Alto came up with a way to add Ambient Display functionality to the Nexus 5. 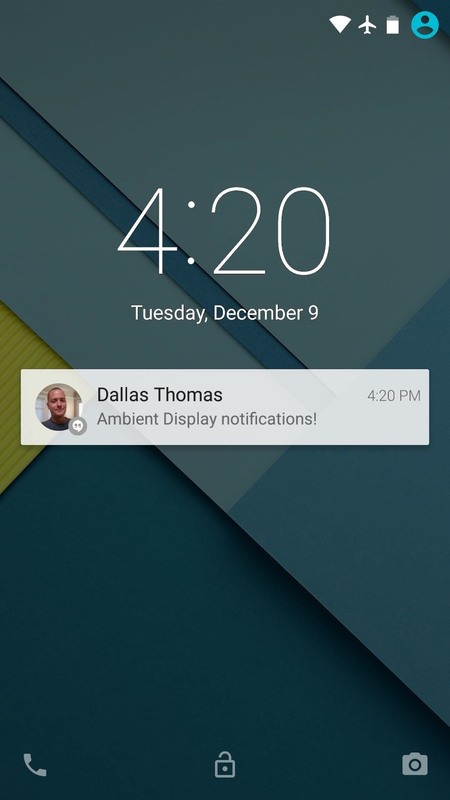 To be clear, his mod does not replicate the Nexus 6's lift-to-wake feature, just the new notification interface. But awesome new functionality like this is more than welcome as our devices begin to get a little long in tooth. D'Alto's Ambient Display mod comes in the form of a flashable ZIP. To download this file, point your Nexus 5's web browser to this link, but make sure to wait until the download has finished before moving on to the next step. 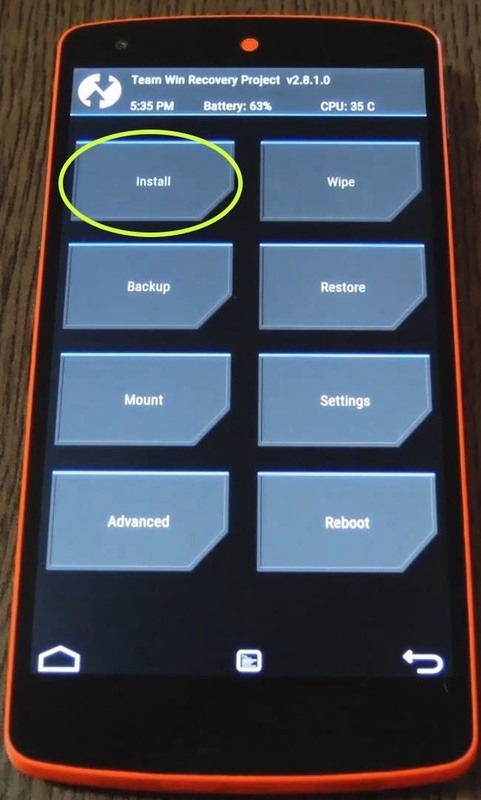 From TWRP's main menu, press the "Install" button to begin. (Note that other custom recoveries have a slightly different interface, but the process in general is mostly the same.) 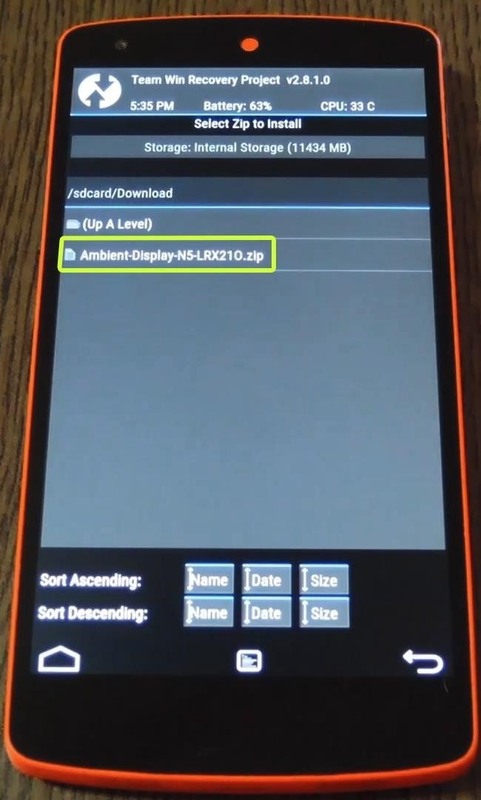 Next, navigate to your device's Download folder, then select the "5.0.1Ambient.zip" file. After that, just swipe the slider at the bottom of the screen to install the mod. When the process has finished, tap "Reboot System." When you get back up, no further setup is needed. The Ambient Display option can be accessed in Settings under the "Display" menu, but it will already be enabled by default. New notifications will now wake your device to a black-and-white lock screen for a few seconds. 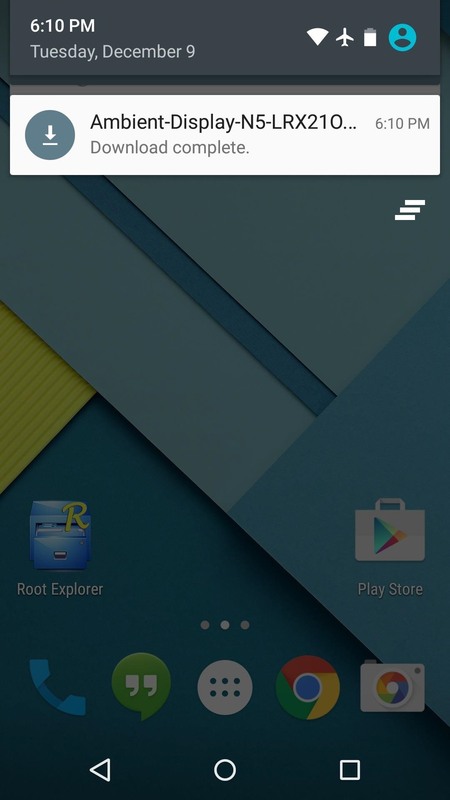 Combined with Lollipop's new lock screen notification interface, this makes reading incoming messages incredibly easy. If you'd like to interact with one of these notifications, just tap anywhere, and the lock screen will return to its full color state. If you'd like to get the full Nexus 6 Ambient Display experience, try out our GravityScreen guide to add lift-to-wake functionality. Does it affect battery usage? Only the slightest bit. The screen comes on for about 2 seconds when you get a notification, so that adds two seconds of screen-related battery drain that wouldn't otherwise be there. But the service doesn't use any battery since Android already holds a partial wakelock for incoming notifications. 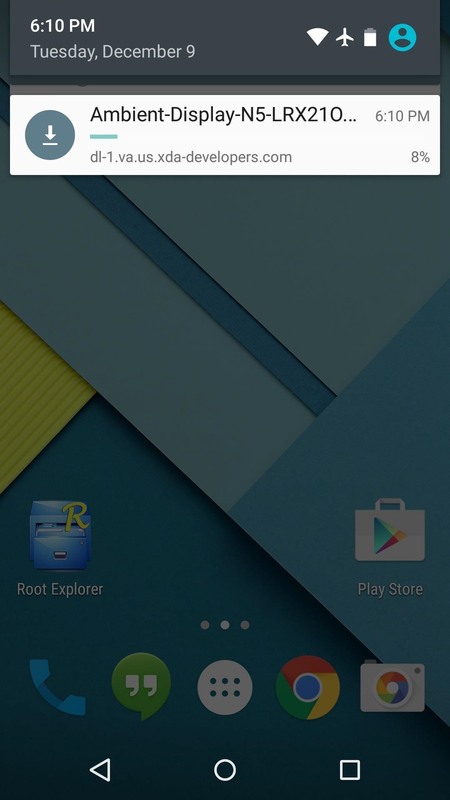 It works for android 5.1.1? Hello.. I'm looking forward to activate Stereo sound for my nexus 5 but am hesitant to do so as would it affect other data and contacts on any way ? As long as you've made a backup in custom recovery before you flash a ZIP, you'll always have that to fall back on. does it work on htc one m7? I wouldn't flash this on the M7, the ZIP is designed for the Nexus 5 specifically. do i have to have android 5 (lollipop)??? Yes, this does require a rooted Nexus 5 running stock Android 5.0 with Custom Recovery installed. It shows 'Unfortunately, System UI has stopped'. had that happen to me too, didn't backup before flashing but should have. fortunately, flashing back 5.0.1 saved me. i'll pass on this one now. The ZIP that was originally linked here only works with 5.0, but there's already a new version for 5.0.1. I've updated the article with a link to the 5.0.1-compatible version if you want to try it again. does it work on nexus 5 with 5.0.1 (LRX22C)? I've updated the article with a 5.0.1-compatible version of this mod, so it will work with LRX22C now. yestoday I flash it on nexus 5 with 5.0.1 (LRX22C), it's awesome.But today I see it lights up about 4-5 times when a new notofication goes in..I really like this function I don't want to disable it..
hi Dallas, ok so i did this mod everything fine up until i rebooted sytem, (point of reference everything followed correctly upto 1.32 min on your video) then when the system rebooted it sadly displayed "unfortunately system ui has stopped working" can you help? 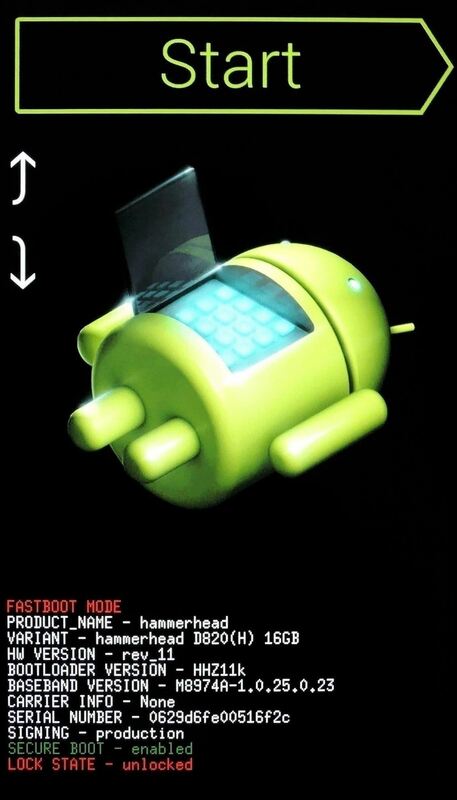 Are you on Android 5.0 or Android 5.0.1? hi dallas, im on 5.01 , but i rebooted using nexus root tool kit, it was my last resort after trying all i could, so im going to try the same process again this time paying close attention. is there a different link for 5.01 ? or do i use the same one ? did it works a treat...thank you. How to revert this mod, because even if i try to disable it from settings, still working. will i lose any data after doing this? will i get further software updates like 5.0.2 etc after doing this? It shouldn't cause you to lose any data, but it will likely prevent you from receiving an OTA update. But at the same time, just being rooted with a custom recovery installed will prevent you from getting software updates. 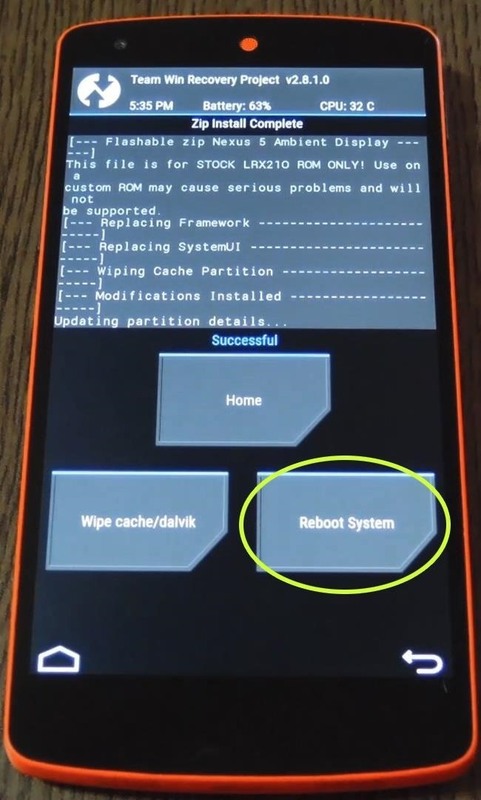 Basically, if you've already modded your phone with root and a custom recovery, this won't make any difference in your ability to accept an OTA. I personally would recommend installing a custom recovery before rooting. For one, you can use the custom recovery software to root your phone, and it's probably the easiest root method. But before you even get that far, you can use custom recovery to make a backup of your system partition (tap "Backup", then "Advanced", then select only "System", then swipe the slider). Then go about rooting and modding all you want, because you can simply restore your system partition in custom recovery to undo everything (including root), which will then allow you to accept a software update. The same goes for your data—if you're worried about losing it, just back it up in recovery before flashing this (or any) mod. To sum it up, here's the steps I would take to get root, custom recovery, and various mods installed while not having to worry about software update or data loss issues. I have the same doubt! Will it affect my data ?? It will not cause you to lose any data. But, if you're ever worried about a flashable ZIP causing problems, all you have to do is tap the "Backup" button in recovery (then swipe the slider) before you install the mod. That way, even if a mod causes issues, you can restore the backup and get things back the way they were before you installed it. That is a very good question. It might be possible with Tasker, let me play around with it a bit and get back with you. Everytime I install it, it desappears few hours later. I dont know why. It does the same thing with the "KitKat power menu". Do you know how I could fix it ? As you can see in the article , the zip is ONLY for ANDROID 5.0.1 , not for 5.1. Try flashing the factory image. Can anyone confirm if this works on 5.1? Google's been pestering me to update to 5.1 but i'm afraid to lose the ambient light :) Thanks. It does not work with 5.1 yet, but there might be a new version coming out soon. I'll post an update if/when it comes out. For non-rooted devices you can try https://play.google.com/store/apps/details?id=com.wolandsoft.wtlf. It will turn on the screen for a few seconds on each notification. unfortunately in full color, no black and white.